Today I have a second video for you, this time giving a close up look at the "Snow is Glistening" stamp set. This is an absolutely gorgeous set and again is part of the limited edition bundles, only available until 30th November or while stocks last. The tree image and the snowflakes are such beautiful detailed images. Again I'm not sure that the graphics from Stampin' Up! do the set justice so I've made my own! Don't forget that these products are only available until 30th November - then they will never be on sale again. 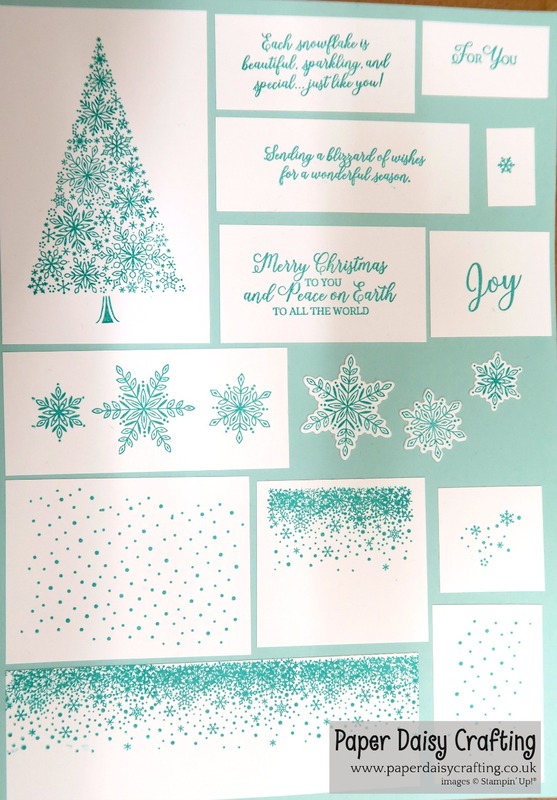 I think these are products I will use year after year for my Christmas cards so I am so pleased to have them in my collection. 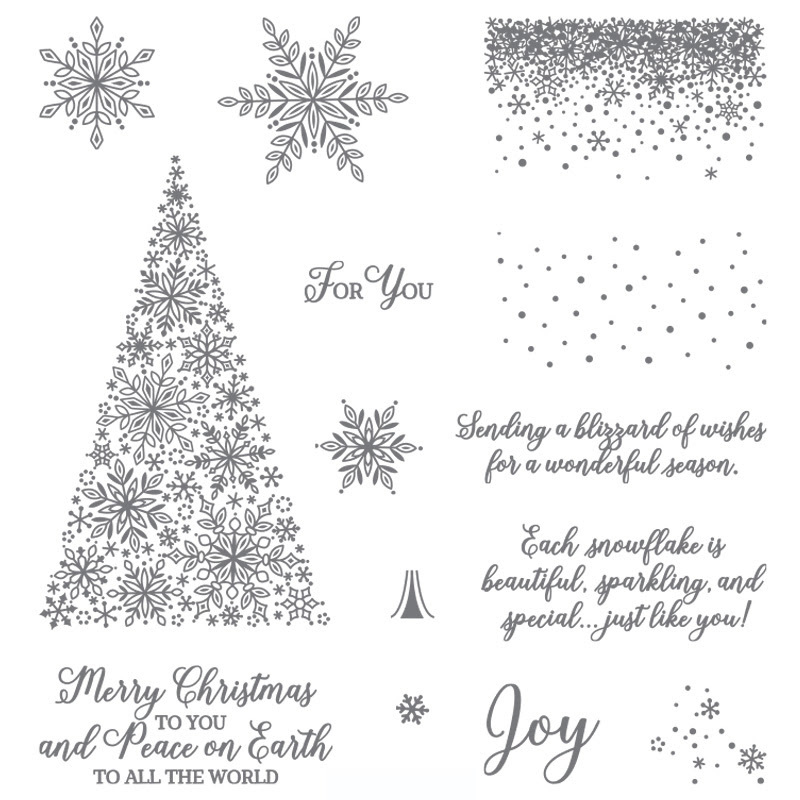 I have just spent a lovely afternoon making projects with this set and the Snowfall thinlit dies - watch out for these appearing soon on my blog!